Are you passionate about providing an exceptional customer experience and have a track record for setting standards? Would you like to work for the leading entertainment venue in Lincolnshire? We, Magna Vitae – a charitable trust, provide an extraordinary range of cultural, leisure and health related facilities and services enabling people to live a great life. We operate 5 Leisure Centres in the district of East Lindsey and 1 Theatre! A unique opportunity has arisen to join the busy backstage technical department at The Embassy Theatre. The venue operates all year round hosting a variety of shows throughout the year. The successful candidate should be versatile in all backstage disciplines however this post does require the successful candidate to be proficient in live sound operation / design, and a working knowledge of digital sound desks. You will be joining a small but dedicated team of technicians facilitating all aspects of the theatre’s technical department. The contract is for 30 + hours based on an annualised contract, due to the nature of the industry evening and weekend working is essential. The successful candidate will need to demonstrate previous employment within a similar venue. 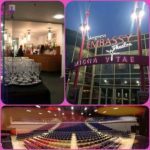 In addition to servicing touring shows that visit the Embassy, you will also be required to become part of our in house production team Magna Vitae Productions, producing high class productions throughout the year. We are looking to employ an exceptional individual to join our Box Office sales team as first point of contact with Theatre customers. The successful applicant will be able to converse easily with customers, be polite, smart, professional and demonstrate enthusiasm for Entertainment and the Arts. The position will include working weekends, bank holidays and regular evenings.Working as part of a small sales team based in the Embassy Theatre Box Office prior experience in a sales and front facing customer service role is desirable as is competent knowledge of computers systems and media platforms. The successful applicant will be able to converse easily with customers, be polite, smart and professional. The position includes serving at The Theatre Bar, checking tickets, showing customers to their seats, addressing customer enquiries and ensuring a safe, enjoyable customer experience. Cleaning, restocking and cashing up are also included in the general duties of this role. Experience is desirable but not essential as training will be given to the right applicant. This position includes serving at the Theatre Bar; addressing customer enquiries and ensuring a safe; enjoyable customer experience. 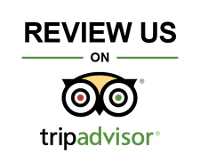 Serving experience and excellent customer service skills are essential. Evening, weekend shifts estimated 20 hrs per week in busy periods. Year round position for the right individual. Immediate start.